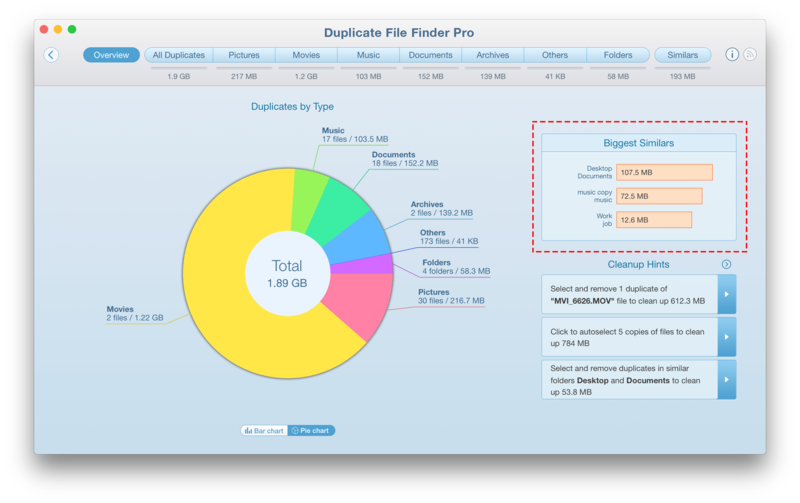 Duplicate File Finder is a tool to quickly find duplicates and easily remove unneeded copies. It shows a list of all duplicate files and folders and compares even similar folders. You can view them in the Similars tab. The feature to clean up Similars is available in the Pro mode of the application. Imagine you have several folders on your Mac or drive that contain identical and unique files. In this case, these folders are not duplicates, as they keep different data. The folders on the screenshot keep 2 duplicate files and 1 unique file. In Duplicate File Finder program they are called Similar folders. If your folders keep only file copies, then they are duplicate folders. 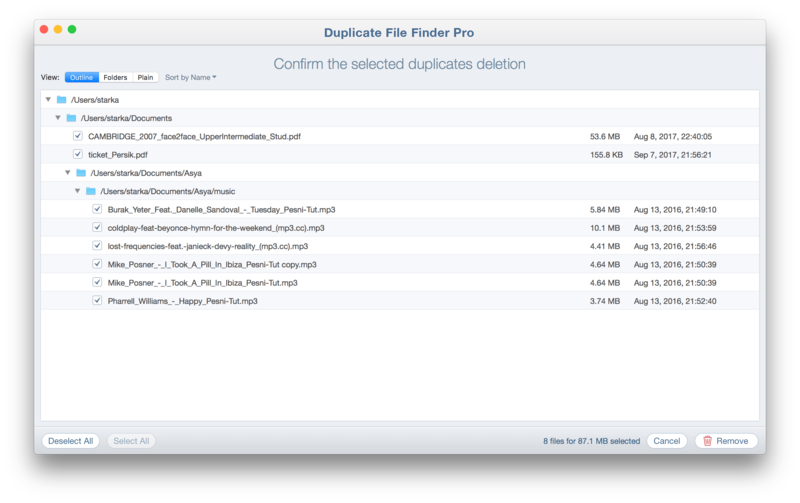 Note, the duplicate files may have different names. The program compares the files and identifies them as duplicates if they have absolutely similar data and byte-to-byte sizes. It doesn’t matter what their names are. Take a look at the screenshots. 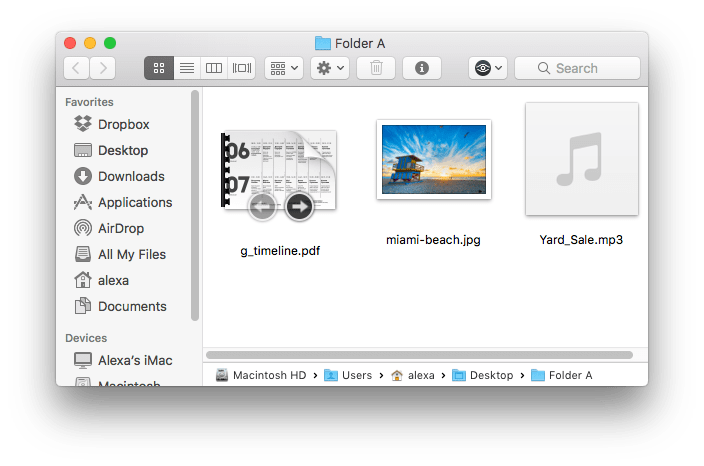 Let’s learn how to find, compare and clean up similar folders. When the duplicates search process is completed, a short report of all duplicates search results is displayed in the Overview tab. If you use Duplicate File Finder Pro, here you will see a section with a list of the biggest similar folders with their sizes. You can click on each folder from this section to switch to the folder’s review in detail. Or click the orange Similars button from the top menu to switch to the general list of files found by the duplicates searcher. Here you will find a visual representation of duplicates in two folders. The orange section of the two intersecting circles shows how many duplicates they have, while the blue section represents unique files. Below the chart, you can see the list of copies and non-repetitive files. Note, you can select only duplicates for removal, so you don’t have to worry about losing unique files. If the folders keep mostly duplicates and only one or several unique files, then the visual view would be like on the screenshot example, where one circle is located inside another one. 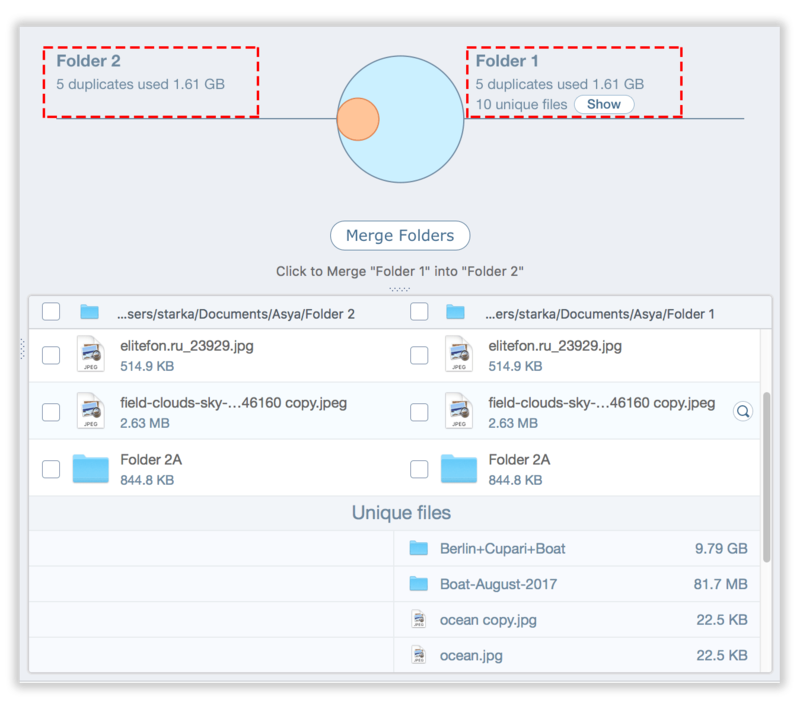 This means that the first folder (orange circle) contains 2 duplicate files, while the second folder (large blue circle) contains 2 duplicates and several unique files. Once you’ve decided from which folder you want to delete the duplicates, tick the checkbox near the appropriate folder. On the screenshot, the red arrow shows the folder which we have selected for duplicate removal. The files in the folder marked by the green arrow will be retained. Now click Remove selected in the bottom right corner. You will be switched to the preview screen of all selected duplicates. If you are sure you don’t need them anymore, do the last step – confirm by clicking the Remove button. We hope we have answered all your questions about similar folders in Duplicate File Finder. But if you still have questions, don’t hesitate to contact us. We will be happy to assist you with the app. 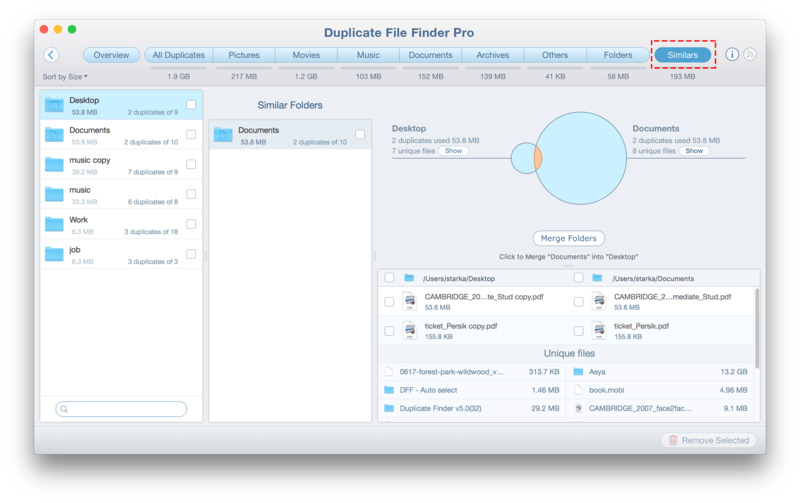 Duplicate File Finder Pro benefits. Quick ways to select and remove duplicates. Scan two folders and quickly remove duplicates from one of them.